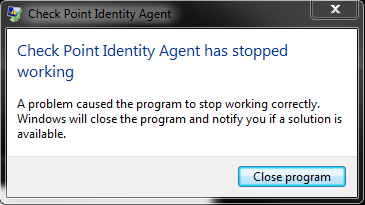 Check Point Identity Agent has stopped working. The client recently encountered several serious errors, and will be closed. Do you want to send its log files by e-mail?